The Royal Golf Association are running their annual competition to judge the best new nine hole course of the year. 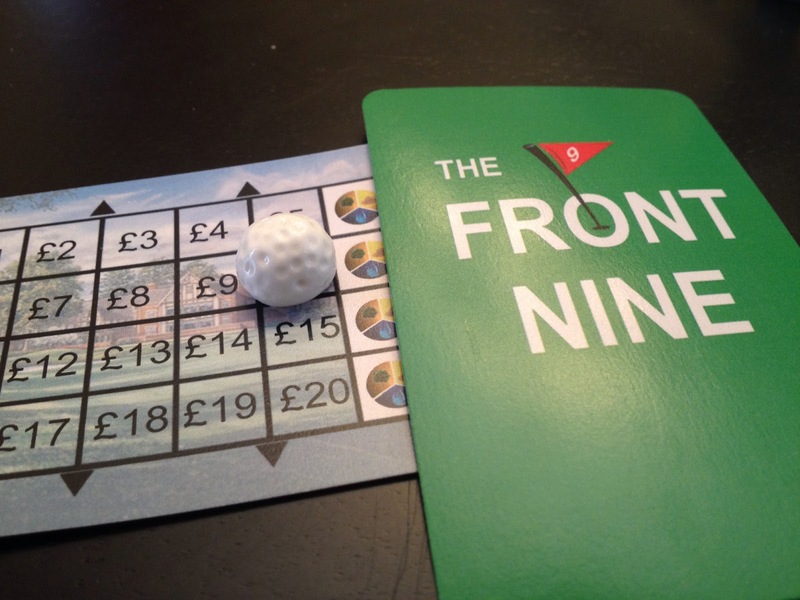 Will you finish all nine holes before the judges carry out their inspection? If not will stunning scenery and design excellence be enough to beat off the opposition? We first saw this game on Rahdo Runs Through and loved the idea of it. Right before I got pregnant with Emma, Ian and I got a little into golf. The golf course construction concept was interesting. I was lucky enough to catch a 2nd print run of the game. You are able to build your different par holes through the buying and selling of resources. The object is to build a 36 par course and make sure it loops back to your clubhouse. I'm a big of tile placement games and this hits the spot for its spatial aspect. After we got the rules down, games last about an hour. Since it is a self-published game, it is a little "rough" - pun intended. The rulebook needs a complete overhaul. It's very hard to learn the game correctly with its current state. While on maternity leave, I had some extra time and was able to trick out the game a little bit. I created a resource tracker card and mini golf ball markers. Cute! Emma was surprisingly calm for this photo shoot back in January.